Malic acid is a natural astringent that acts as a bleaching agent, and it is present in most commercially available tooth-whitening products. 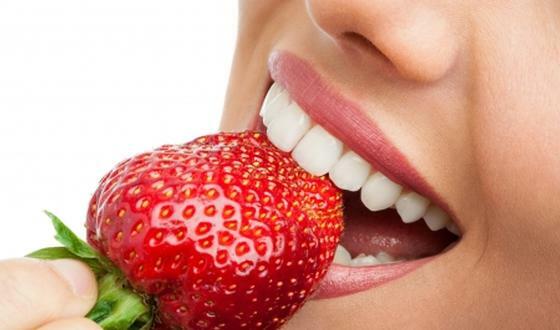 Strawberries are filled with this key ingredient, which will whiten your teeth naturally. So make sure to add them to your basket on your next trip to the farmer’s market. The vitamin C in strawberries also aids in removing plaque. Apples also contain high levels of malic acid. 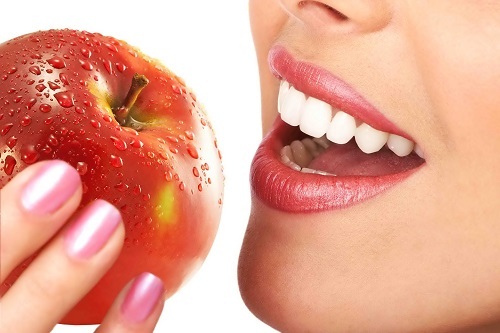 The act of biting and chewing on this crunchy fruit gently scrubs away debris, stains, and bacteria from your mouth.